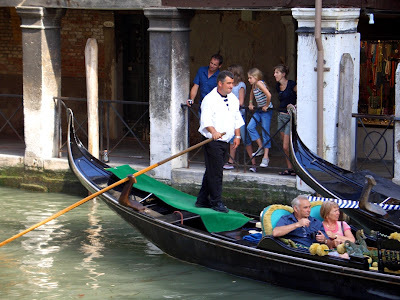 The Gondola Blog: Tapeto Verde Gondolier - Sighted! A while back I published a post about a gondola with a green gondolier’s carpet called “Tapeto Verde”. It turns out that last time Chris Clarke was in La Serenissima, he took a photo of the owner of that boat as he rowed by. I wonder if he still has that same green tapeto.